At Sprieser Sporthorse, our mission is to bring horses and riders up the levels of dressage with fairness, correctness and joy. We will holistically develop mind and body with the end goal of top competition results and international sport. 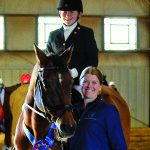 Lauren Sprieser is a USDF Gold, Silver and Bronze Medalist and an international Grand Prix dressage competitor. Her enthusiasm and wit has made her a popular trainer, with students from the grassroots to the international levels in both dressage and eventing. She’s also an acclaimed blogger for the Chronicle of the Horse, and writes regularly for Dressage Today and Practical Horseman. Along with Assistant Trainers Lisa Hellmer (USDF Silver and Bronze Medalist and USPC “B”) and Lauren Fisher (USDF Bronze Medalist), Sprieser Sporthorse is producing top horses and skilled riders in a correct and fun way. I know Lauren as an all-around, talented, and caring horsewoman. In training, I regularly work with her on a variety of horses from basic through international levels. 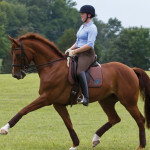 She has a good understanding for each horse as an individual and how to create a program specific to each horse. In competition, she is very successful and remains focused to present each horse to the best of his abilities. Everything she does is with a lot of thought and hard work. 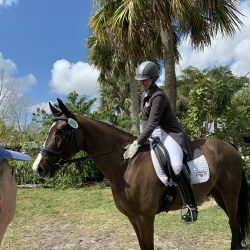 Lauren possesses an uncommon combination of qualities which are rarely seen in trainers in the US dressage world: she has the skills to make horses up the levels from green to Grand Prix, as well as teach professional, amateur and junior riders alike. Her passion for riding at the upper levels mirrors her passion for teaching, and her students are the better for it. I arrived at Sprieser Sporthorse the first week of December 2016 from another dressage barn that was just not the right fit for Kui and me. At 7, he still didn’t have the best ground manners and I had did not have the best seat or balance in the saddle. We needed a professional team that could put us on the right path. Never before have I felt so at ease leaving my horse in the care of others, as I did at Sprieser Sporthorse. 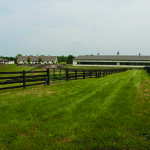 The combination of Lauren’s customized training program paired with the staff’s caring attention to detail, worked to create the perfect environment for my horse to progress and relax in. 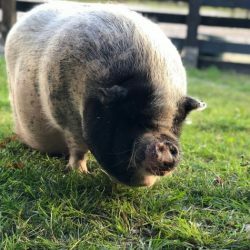 Many thanks to everyone at Clearwater Farm. Both my horse and I look forward to coming back very soon! Start Training With Lauren Today!